For more than 30 years VanHolland Van Kessel & Partners has been helping professionals – like engineers – to enhance and improve their communication skills. The quality of their communication is a major factor in your commercial success, after all. Our top-quality training courses and coaching sessions are designed to help engineering and commercial staff improve their commercial effectiveness across the board. You’ll improve your sales performance and really set yourself apart in your sector. We are a family business that was established in 1984. Through the years we have developed our own vision on effective training courses. We believe that each individual has his own communication style. We also believe that a focused training course can empower the individual to improve his or her communication acumen. 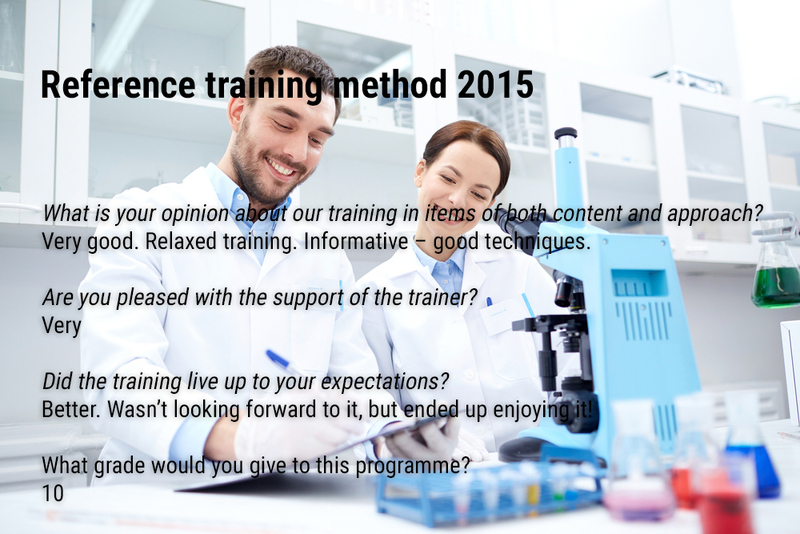 Our training courses take an interactive approach. An approach that is moreover feasible, goal- and results-oriented, no-nonsense, constructive and positive. "Our motto at HollandVanKessel&Partners is ‘learning by doing’. of on-camera exercisesand providing individual, personal feedback. 20% theory, 80% hands-on activities". Why do we put so much emphasis on skills training? What did your tennis coach ask you when you wanted to learn to play tennis? Precisely: he asked you to show what you were already capable of, and from there he taught you how to improve your technique and game. A stack of hand-outs and some commentary from the side line wouldn’t have been much help. Whether it’s about playing tennis, giving presentations or going on sales calls, you’ll only learn the skills you really need through training and practice. Are you not the smoothest of salesmen? You don’t have to be! Perhaps you simply lack talent for giving presentation or you are overly modest. Nevertheless, practice makes perfect is an adage that applies to you, too. Naturally, we discuss the best approach with each course participant. The point is to help you become a good consultant whom customers enjoy working with. “Perhaps you are highly talented, or perhaps you are not so talented. Everything we do at HollandVanKessel&Partners is aimed at achieving the greatest yield from your investment. Our training courses last a single day, from 9:00 to 17:00. In addition, each participant has the opportunity to hone their skills further by taking a refresher course within twelve months. Refresher courses are offered by appointment only and last half a day, from 9:00 to 13:00 for example. Our training programmes are structured, to-the-point and cover only what is relevant. All of our past participants look back enthusiastically on their courses. This is because they learn so much in just a single day – and at a great, inspiring location! Our courses are not just another business expense. They are an investment in your success.